The first insurance-linked securities vehicle to be approved and launched in the UK, the NCM Re (UK PCC) Ltd vehicle from specialist Lloyd’s and Bermuda insurance and reinsurance company Neon Underwriting, has successfully completed the first UK ILS transaction, entering into a $72 million quota-share with Neon’s Syndicate 2468. As we wrote in December, Neon was the first to receive approval from the UK’s Prudential Regulation Authority (PRA) for what is now the first insurance-linked securities (ILS) vehicle to transact business in the United Kingdom. The NCM Re vehicle, an insurance special purpose vehicle (iSPV), has entered into a reinsurance agreement with Neon’s Lloyd’s of London syndicate, enabling the re/insurer to bring third-party investor capital into its structure to support its London market underwriting. Martin Reith, Neon Group Chief Executive, commented, “I am both excited and proud to see Neon making history – not only is it a testament to Neon’s commitment to doing things differently but it also underpins our attitude as a business – unafraid to lead the way and embrace change. “Successfully raising third party capital shows trust and confidence in Neon’s management team, brand and underwriting proposition. NCM Re now provides Neon with the ability to raise third party capital to support collateralised ILS transactions where Neon can source bespoke opportunities for investors. NCM Re will effectively act as a collateralised reinsurance sidecar to Neon Syndicate 2468, augmenting the syndicate’s capacity while allowing third-party capital market investors to share in its underwriting returns. The firm said that its NCM Re vehicle will make use of a range of catastrophe modelling and risk pricing techniques in order to leverage the firm’s underwriting and risk selection skills to source business for third-party investors. Neon’s first ILS transaction, which completed on the 1st January 2018, is a $72 million collateralised quota-share reinsurance arrangement that sees NCM Re assuming a portion of Neon Syndicate 2468’s property treaty reinsurance and direct and facultative portfolios. Using third-party capital to augment underwriting capacity at Lloyd’s is now a much easier prospect for companies underwriting in that market, thanks to the new UK ILS regulatory environment. We can expect to see more such transactions and we’re told that other applications for ILS vehicles are now underway. 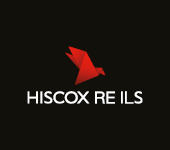 HSBC assisted Neon in getting this first UK ILS transaction to market, with its Corporate Trust and Loan Agency department acting as Security Trustee, Custodian and Account Bank for the NCM Re ILS deal. Law firm Clifford Chance advised Neon on the application and set-up of its NCM Re UK ILS vehicle.